Toni Snelgrove, principal of Snelgrove and Associates, has a wide range of employment and consulting experience. She has worked as a consultant, senior salesperson, general manager and leader of people, partner, and solo-preneur. This variety means she can easily connect with her clients. Her style is practical, agile and compassionate, with an ability to get quickly to the heart of the matter. Toni works with associates where appropriate to help her clients be the best they can be. These associates provide complementary services in executive coaching and consulting, business psychology, psychometric assessment, executive search, executive wardrobe and image, and personal training. The focus throughout is on helping clients to develop their compelling personal brand. During her extensive work experience, Toni came to recognise that opportunities and leadership talent frequently were being lost through disconnects between executives and their employer, so she formed Snelgrove and Associates with the goal of assisting executives to realise their authentic potential, and thereby add compelling value for their employer. In May 2007, Toni co-created the Altris partnership, a leadership and executive coaching company, and was a co-director of Altris for nearly eight years. Through this experience, she fine-tuned her expertise around high-performing, agile teams, as well as the complementary leadership styles required to help a small business partnership thrive. She’s also served on the board, or as a steering group member, of several professional organisations. 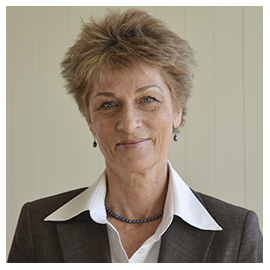 For example, between 2007 and 2009, Toni was New Zealand credentialing leader on the ICFA (International Coach Federation Australasia) board. And between 2010 and 2013, she was a steering group member of the New Zealand-based Coaching Psychology Special Interest Group. Registered New Zealand psychologist, 1987–2016. Successful completion of a course in Change Management, (University of Auckland, Dr Nick Marsh). Instructional Design concepts from Bright*Star for impactful workshop design. Talk with Toni about how she can help you on your professional journey.